If you haven't heard of or seen IKEA's Kallax shelf, you're in the minority: this interior design behemoth has been known to strike a successful balance between attractive and affordable with many of their popular products, and the Kallax library unit is one of their most iconic. The concept is simple: a furniture unit composed of equally-sized stacked squares, with endless possibilities for positioning, function, length, and height. The simple design makes this an easy project to assemble at home – probably one of the biggest points in its favour when shoppers are wandering the aisles looking for a simple, quick fix. Lightweight, compact, and sturdy, you can spot this style of cubby shelf in many an apartment bedroom, tidy closet, kindergarten classroom, and maybe even your dentist's office. This popular decor product is available in many colours and dimensions. It's also available with wheels, it can be filled with pull-out baskets, and, due to its homogeneous nature, can be placed against the wall just as easily as it can be left in the centre of a room. 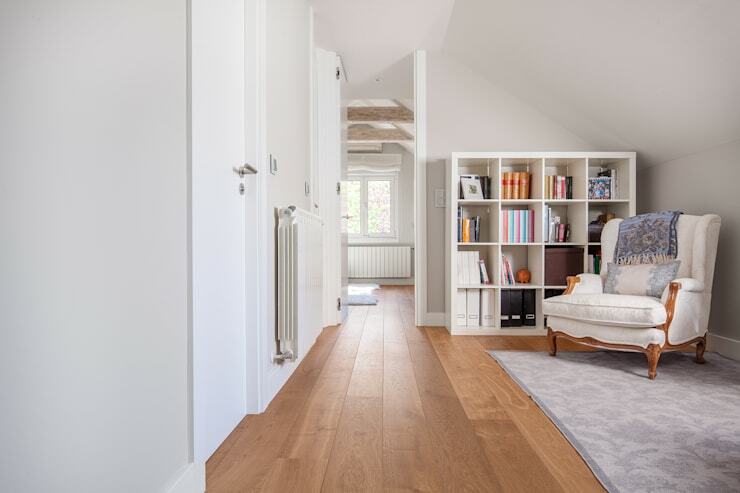 Explore the suggestions from the interior design experts on homify, and discover ways to incorporate this versatile – and affordable – piece of furniture into your home in various ways! Still haven't mounted the TV? Take a cue from this example, which places a an 8x2 compartment shelf as a simple TV stand. Cubby units provide accessible spots for any gadgets and discs. 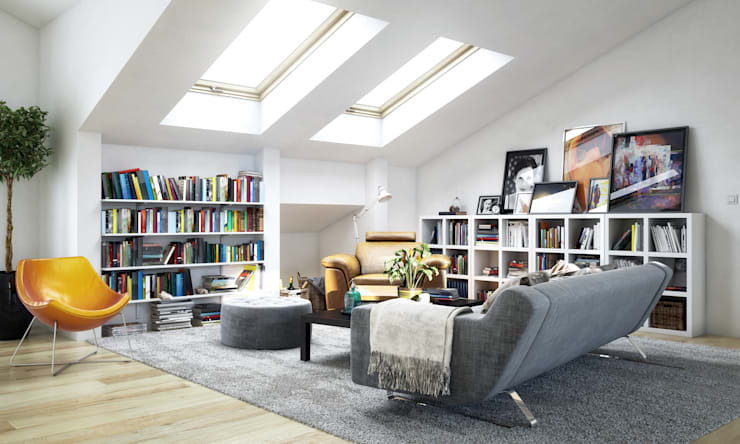 Books add a certain creative culture to a space – if you'd like the chance to drag your books out of the boxes under the bed, create a small home library by placing multiple Kallax units side by side. Eliminate the need to install wall-mounted shelves while still enjoying the look and feel of a stately home library. A dresser with drawers isn't always the best option – especially if you're working with a narrow closet space where pulling out a bulky drawer is more frustrating than it is convenient. 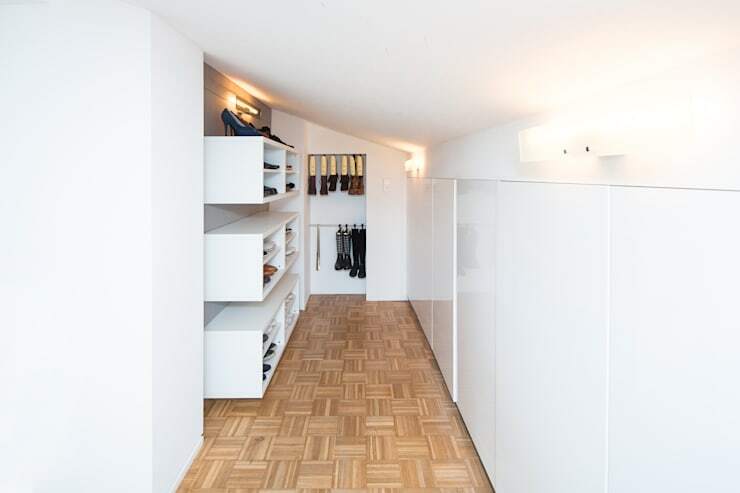 Use this open, boxy shelving for items like shoes and boots that take up a lot of space due to their structure. A Kallax shelf can be added a sitting room or office space as a way to keep files and documents organized. Even though this shelf is filled with a mismatched assortment of objects, the scene takes on a refreshingly organized appearance due to the crisp square structure and homogenous, clean look of the white shelves. 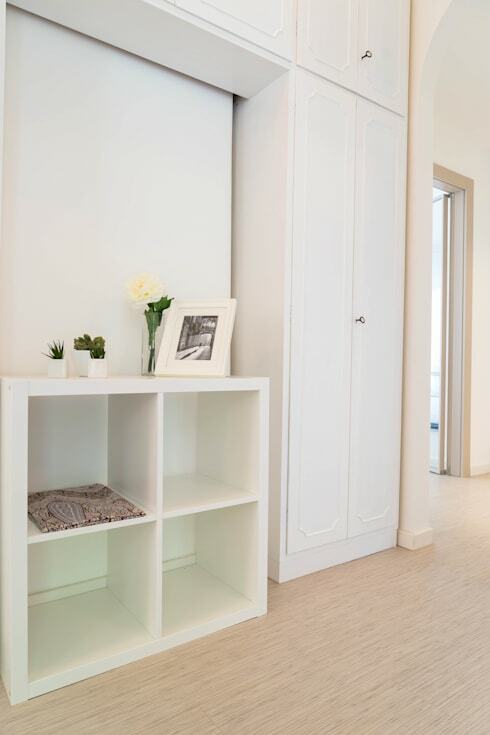 Too often, the entrance of a home becomes cluttered with shoes, umbrellas, and bags – clean it up by placing a small Kallax shelf just inside your entrance door. Since this versatile piece of furniture has no clearly designated back or front side, you can place the shelf in the middle of a room and have it serve as a room divider or partition. 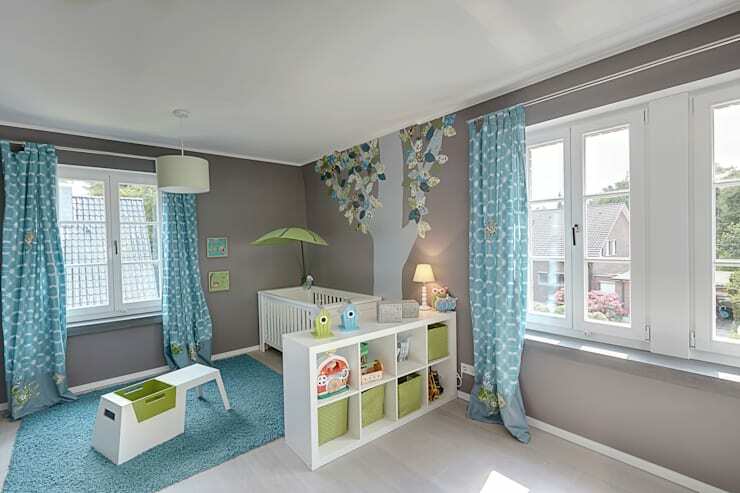 In this nursery, the partition creates a more intimate environment for play, housing a few toys at the same time that it closes off a tidy corner for an afternoon nap. Have you found another creative way to use an IKEA Kallax shelf? Share your IKEA shelf hacks below!